Let’s celebrate a year of success! In 2018, the Finders Keepers celebrated the launch of a new Indigenous Program. The program exceeded every-last-one of our expectations. 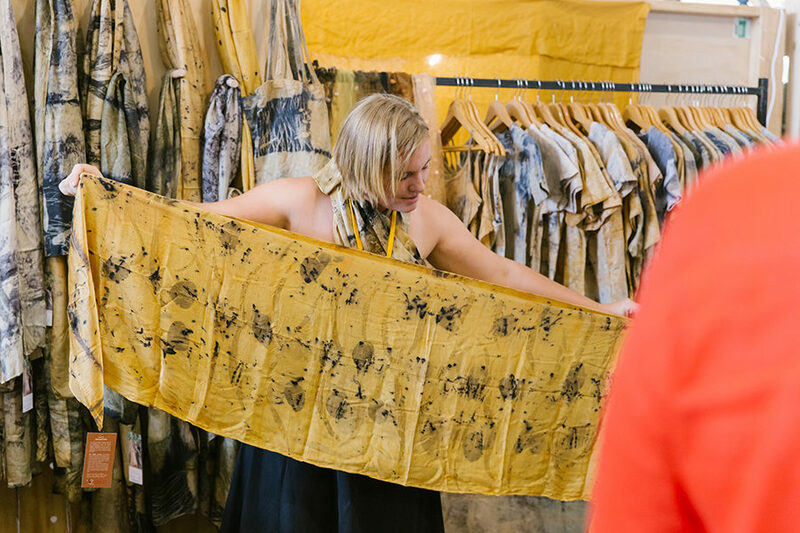 We not only honored a new category of stallholders in our marketplace, but we also had an incredible time doing it. We learned a new way of doing things and watched customers revel in new design delights. “You guys were amazing in your support for Yunmi!!!! What is the Indigenous Program? 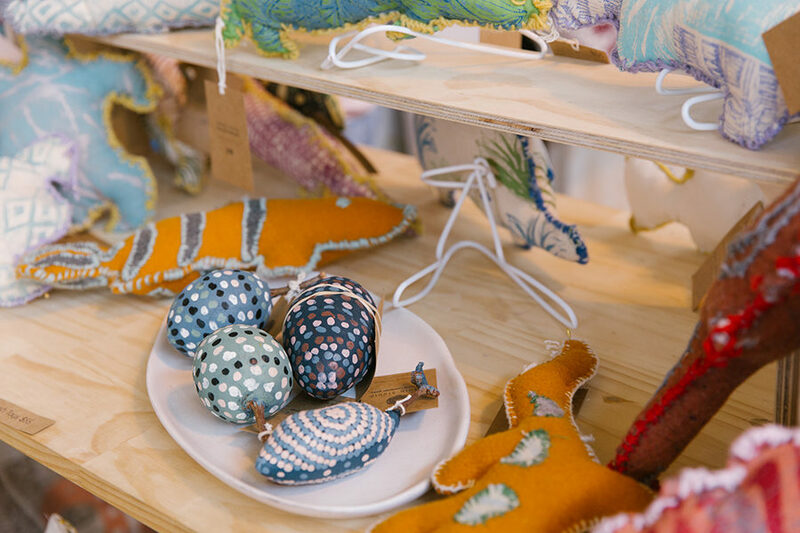 The Finders Keepers launched the new Indigenous Program as a dedicated way to support and encourage Indigenous makers through nurturing their commercial endeavors. 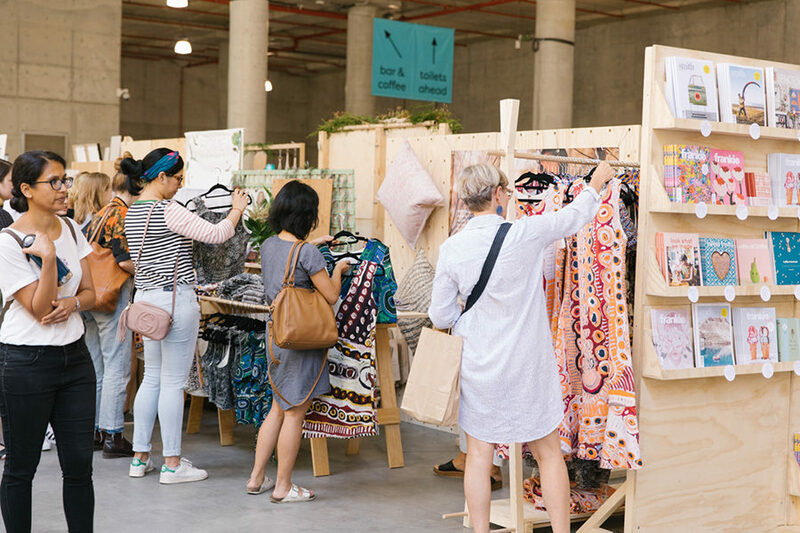 Recipients of the program receive a sponsored stall position at Finders Keepers with a designated audience, assistance with stall design as well as marketing and media support. For over a decade now, Finders Keepers has worked tirelessly to offer thousands of people the opportunity to be a part of a larger creative community, in 2018 we wanted to really shine a light on the incredible practices of Indigenous arts and crafts. In a nutshell, the program is aimed at supporting Indigenous makers with equal opportunity, market reach, and selling platforms. 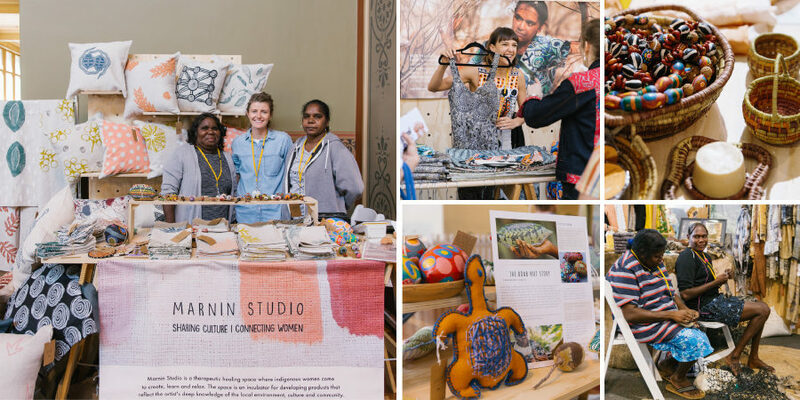 It set out to honour makers and enhance the Finders Keepers marketplace with more Indigenous crafts plus gave us the opportunity to share our skills and mentor Indigenous makers with support in new ways. There’s so much to love about this program. We recently reflected and took a minute to reach out to some of our recipients of the program this year and follow up on their first Finders Keepers experience! 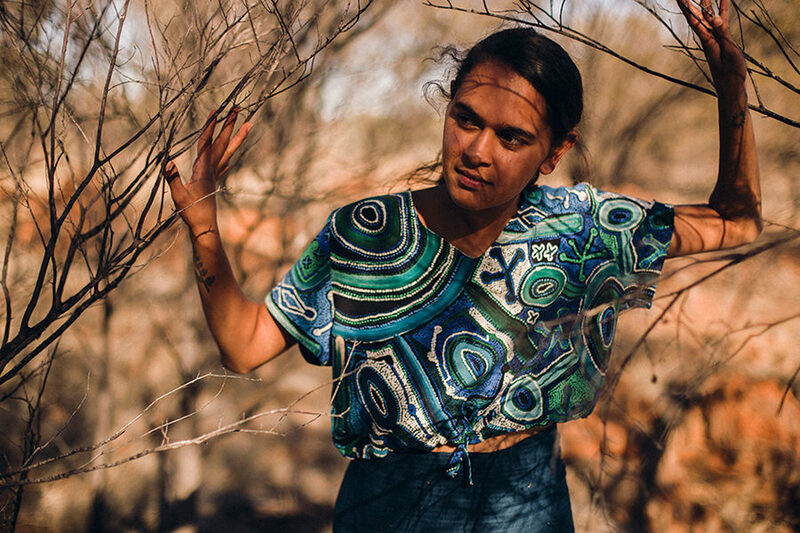 Here’s our full list of 2018 Indigenous Program recipients, Injalak Arts, Kakadu Plum Co., Yunmi, Marnin Studio, Anindilyakwa Arts and North Studio. 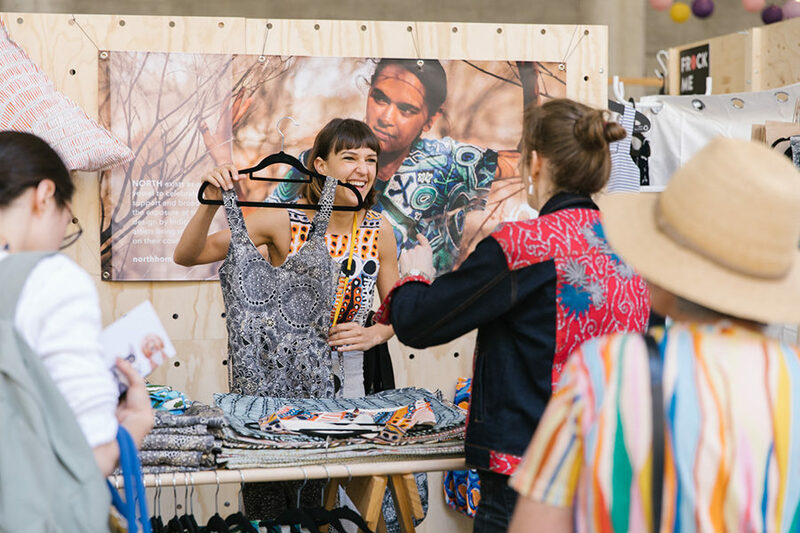 Read further as we share some fantastic highlights from a few of our recipient’s experiences at the Finders Markets..
Sydney Spring Summer 2018 Recipient: North studio is a not-for-profit social enterprise, existing to celebrate, support and broaden the exposure of textile design by Indigenous artists living remotely on their country. Crystal founder of of North shares her highlights. It was wonderful to be a part of the Finders Keepers community and invited into Sydney with open arms. The Cutaway, Barangaroo was not only a beautiful environment, but we felt that Finders Keepers understood our organisation and spent the time to talk about our brand with care and consideration. We loved the outdoor elements of the venue and watching customers having a great shopping experience! The rapid growth of initiatives like Finders Keepers are a testament to the way we as consumers would like to shop. It was a highlight to meet the like minded NSW community! What were the most commonly asked Questions from customers? Customers were keen to hear about our NT based organisation. They often had their own stories to share about traveling up North, which was lovely to hear! Customers wanted to support the locally made product (made in Australia) and they were also interested in the fabric composition. What items were most popular? Our women’s clothing was the most popular. Read our full interview with North here. Brisbane Spring Summer 2018 Recipient: Anindilyakwa Arts is a remote Aboriginal owned and directed art centre, supporting artist living on homelands and communities across the Groote Eylant archipelgo. 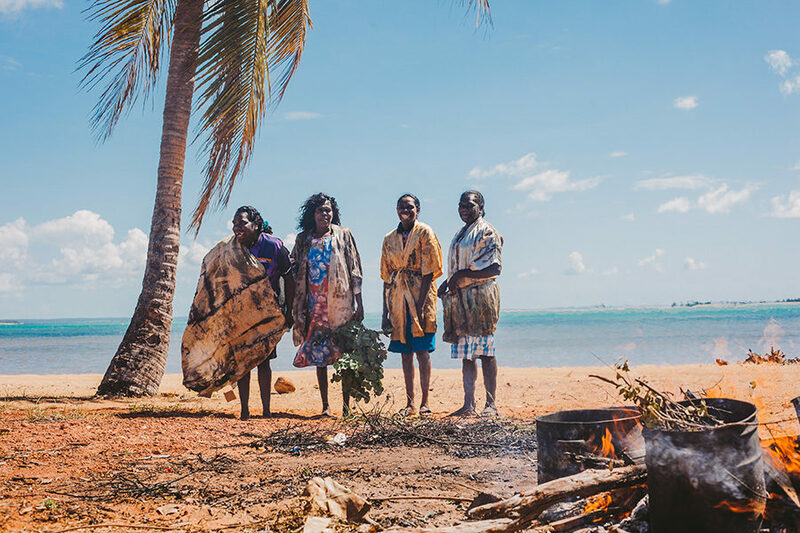 Anindilyakwa women have carried an ancient knowledge of their country into new medium bush dyeing textiles, that are available in a bespoke range of products. So many people commented on how great the stall looked. This was a surprise given we would normally have had more gear for a market set up. It’s always a relief when people comment positively! It was also lovely that a lot of customers said they came to the market specifically to visit Anindilyakwa Arts and lots of website traffic was due to the Finders Keepers website. Anindilyakwa artists Tammy Lalara and Sharna Wurramara also attended the market and it was fantastic to see people engaging with the artists (even if they were a little shy!). It was a wonderful experience and great opportunity that we are very grateful for. Being able to test our products in a mainstream design marketplace was a fantastic opportunity. Read our full interview with Anindilyakwa Arts here. 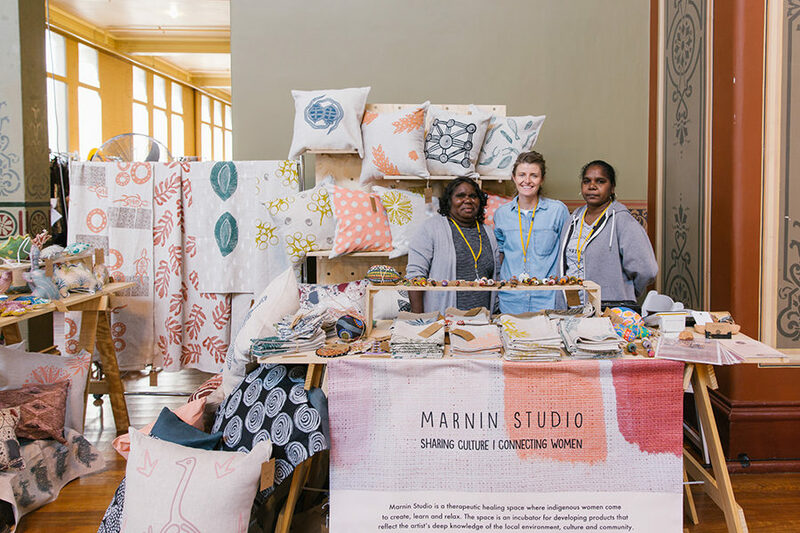 Melbourne Spring Summer 2018 Recipient: Marnin Studio is a therapeutic healing space where women of Fitzroy Crossing come together to create, learn and relax. Through their social enterprise model, the women have the opportunity to reach financial stability with the sale of their products. Studio manager Courtney shares their Finders Keepers highlights. What did you find most valuable from the experience? Definitely seeing the growth in the two artists who attended the market. At first, they were very shy and nervous, but as the weekend progressed their confidence grew and they happily manned the stall, talking with customers and sharing the stories of their designs. Also having the opportunity for the artists to see what other designs and products existed outside of Fitzroy Crossing was great. Read our full interview with Marnin Studio here. To be considered for the Indigenous Program in 2019, or know of a business, brand or cause we need to showcase then please keep reading! 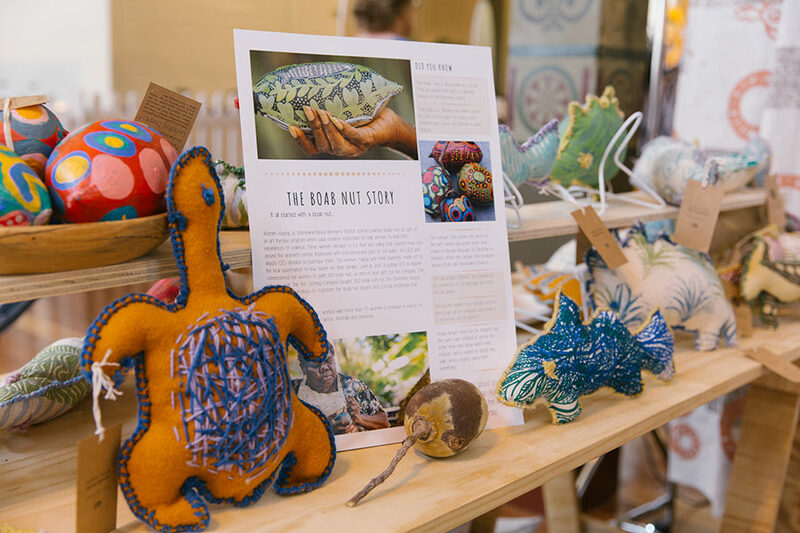 Recipients can be individual makers, and/or an Art Centre or organisation that promotes, represents and sells the work of Indigenous artists and makers. We’re really excited about the Indigenous Program returning in 2019 and look forward to bringing you even more Indigenous art, craft, and design from around Australia. For full information about the program please visit our website here. Apply here or read more about our Indigenous Program here. To all of our Indigenous Program recipients of 2018….THANK YOU! Many of you traveled a long distance to share your art, culture, and stories with the Finders Keepers community. We hope to see you all return to our marketplace very soon! Missed a feature and want to catch up? Read further interviews from our Autumn Winter 2018 recipients below! 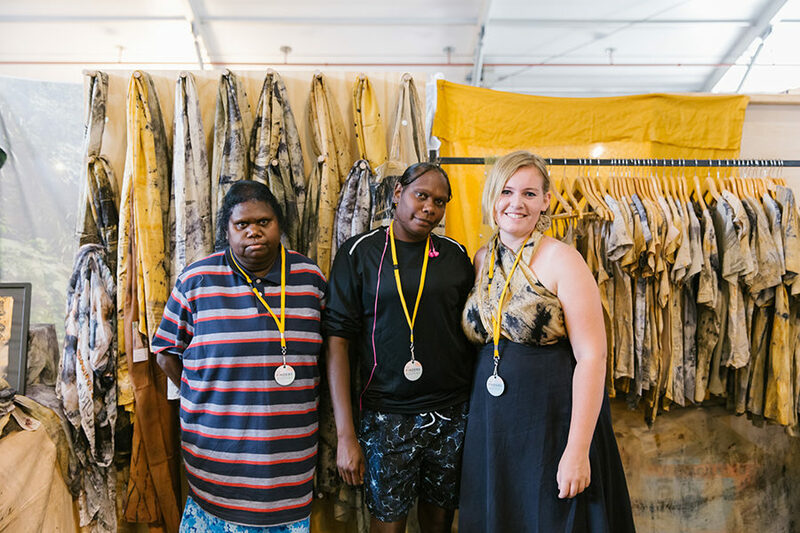 Our Indigenous Program recipient for Sydney AW18 was Injalak Arts. 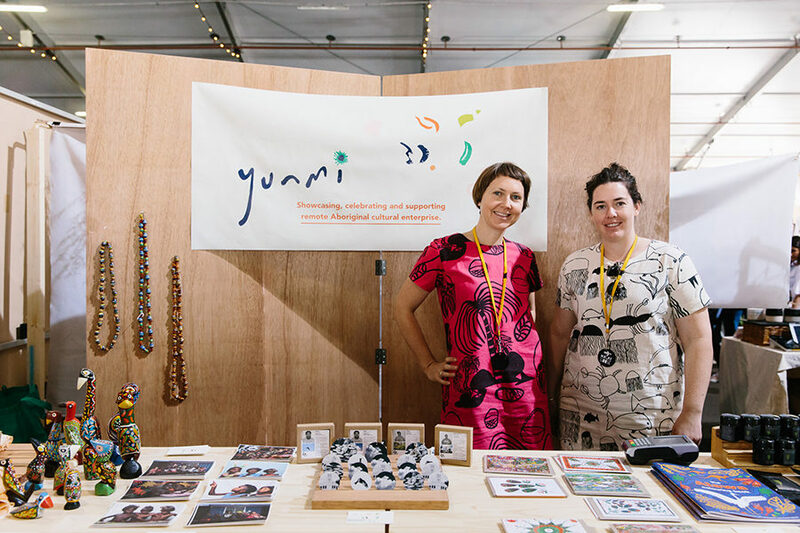 Lauren at Yunmi’s stall at Finders Keepers Brisbane AW18. Captured by Samee Lapham.